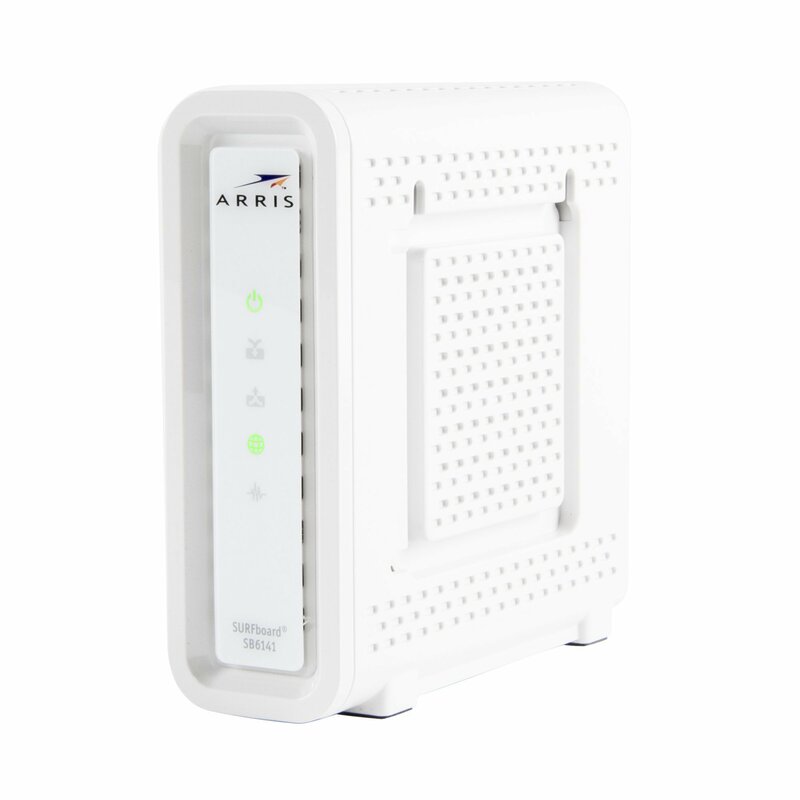 Home › Electronics › Arris / Motorola Surfboard Sb6141 Docsis 3.0 Cable Modem (Certified Refurbish..
Arris / Motorola Surfboard Sb6141 Docsis 3.0 Cable Modem (Certified Refurbish.. Strengthen your broadband â€” count on Motorolaâ€™s SURFboard DOCSIS to help you deliver innovative, ultra-broadband data services. The Motorola SB6141 SURFboard DOCSIS 3.0 Cable Modem provides you with an economic option for ultra-broadband services, with eight times the current maximum user data throughput approximating over 300 Mbps in DOCSIS and 400 Mbps in EuroDOCSIS mode. You don't even need the hybrid fiber coax (HFC) plant upgrade. Maximizing your current Internet setup, the SB6141 can be deployed without service interruption. Backwards-compatible to DOCSIS 1.0, 1.1 and 2.0, the SB6141 also supports both IPv4 and IPv6, Advanced Encryption Services, and all other DOCSIS 3.0 standards. As part of Motorola DOCSIS 3.0 Ultra-Broadband family of products, the SB6141 tuner has flexibility of two individual capture bandwidth groups, each 96 MHZ. These downstream capture windows can be placed independently anywhere within the 108 MHz to 1 GHz spectrum for deployment of new high-value services, such as bandwidth on-demand, commercial services, interactive gaming, and IPTV, to their customers. The SB6141 features a 10/100/1000Base-T Ethernet (RJ-45) port, as well as intuitive, easy-to-read front-panel operational status LEDs. You can optionally activate dual-colored LEDs in order to have visual verification of bonded channels and GigE link use. With Motorolaâ€™s cable modems, high-speed Internet access is always at your fingertips â€“ always on and always connected. The SB6141 is the ideal competitive solution for your house, your small home business, or your medium to large business enterprise. 3.0 Solutions enable increased bandwidth, enhanced security, and cost-effective data services â€” all while maximizing your current infrastructure and lowering extra costs. Actual speeds will vary, and are often less than the maximum possible. Data transmission speed is approximate and depends on the configuration and capacity of your network, as well as the amount of traffic on the network. Actual data throughput will be less due to physical layer overhead (error correction coding, burst preamble, and guard interval). Certain features may not be activated by your service provider, and/or their network settings may limit the featureâ€™s functionality. Additionally, certain features may require a subscription. Contact your service provider for details. All features, functionality, and other product specifications are subject to change without notice or obligation. DOCSIS 3.0 modem capabilities are dependant on the services available through the CMTS. Please verify with your CMTS vendor their specific DOCSIS 3.0 implementation roadmap.